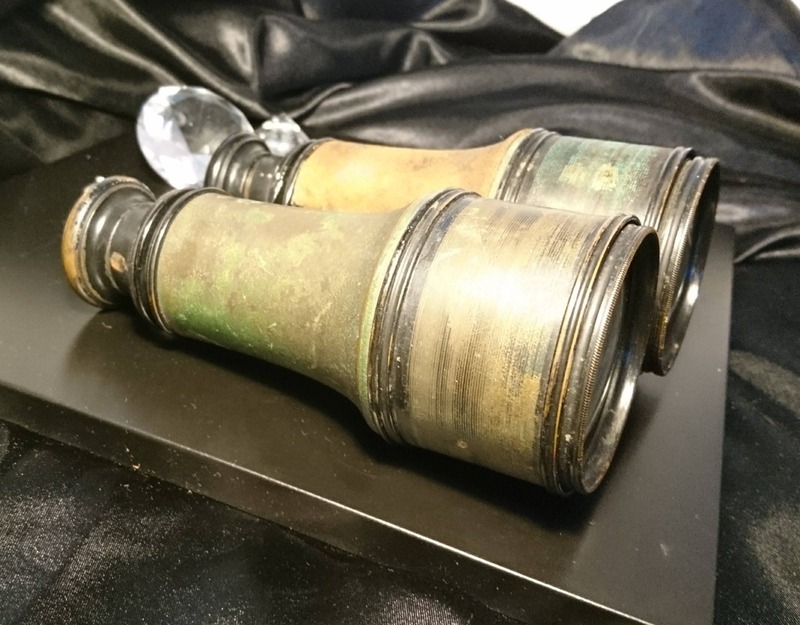 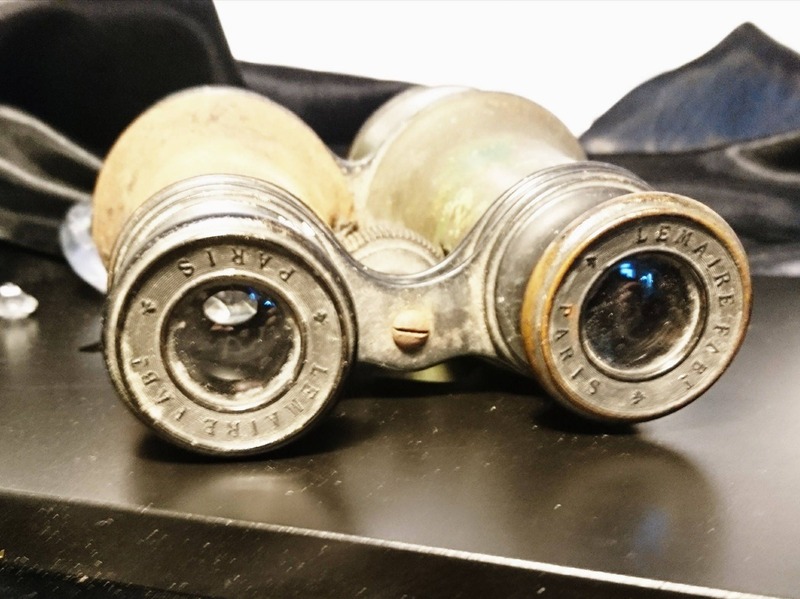 Battle worn pair of WW1 spy or field glasses, British military property. 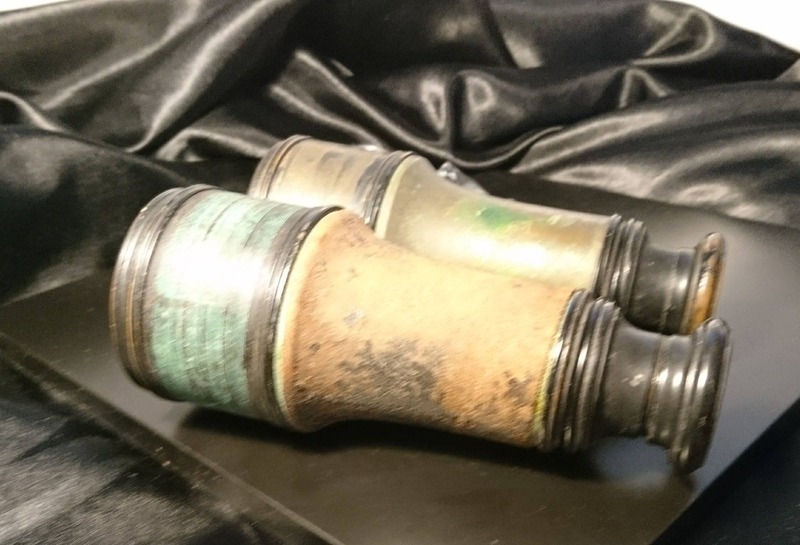 Enamelled brass with a tan leather binding which is missing on one of the grips. 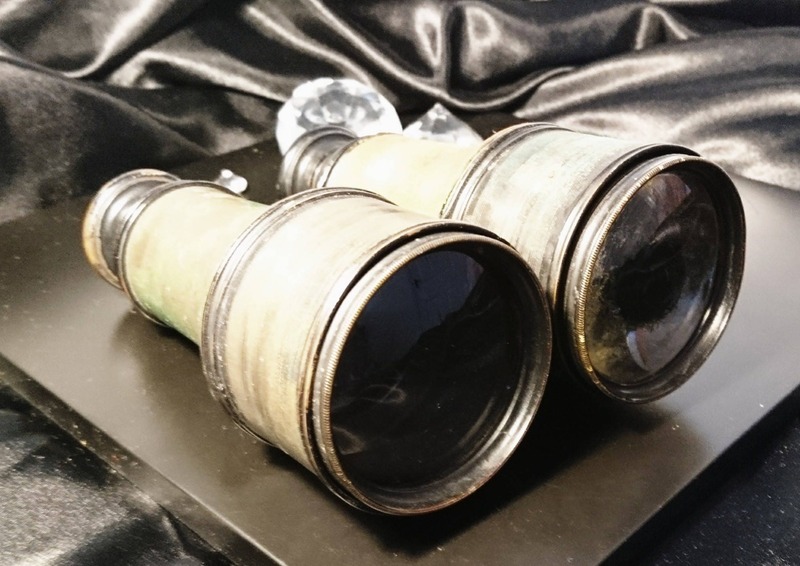 A lovely little piece of history used to spy on the enemy, this particular pair made by Lemaire Paris show a lot of wear, field based war wounds. 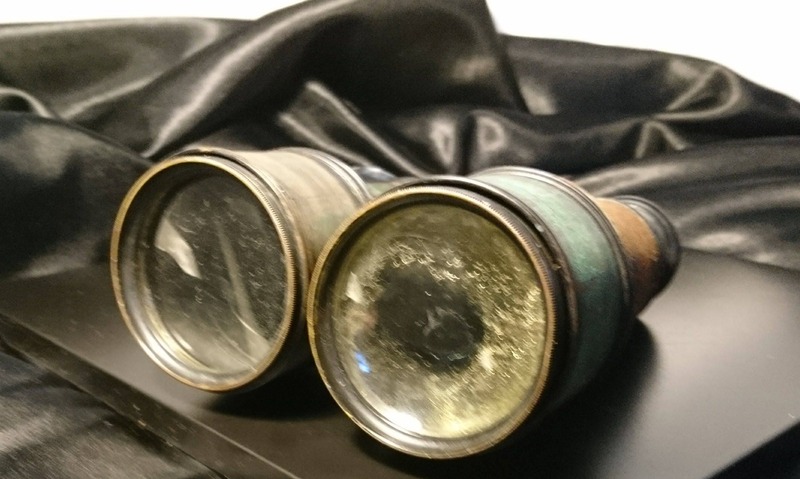 They have some internal cracking in one of the lenses likely from an impact in the field, one of the leather grips is missing and the other is torn. 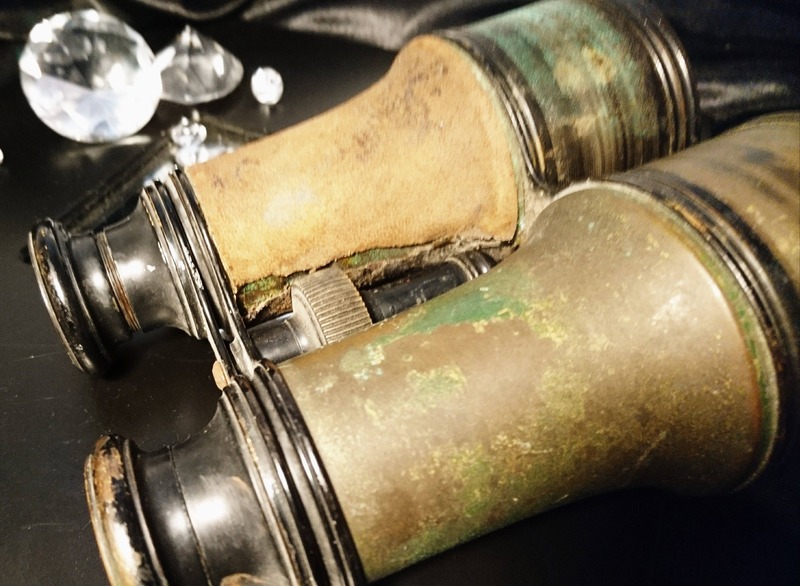 They have many chips in the enamel and there are remnants of camo green all over them, it is most intriguing to think what this pair have been through and more importantly what they have seen. 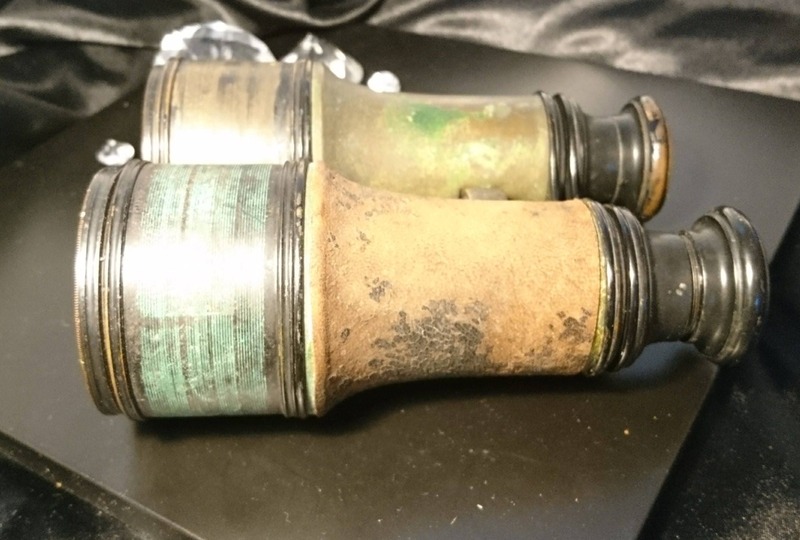 They still extend and retract but the mechanism is very stiff.